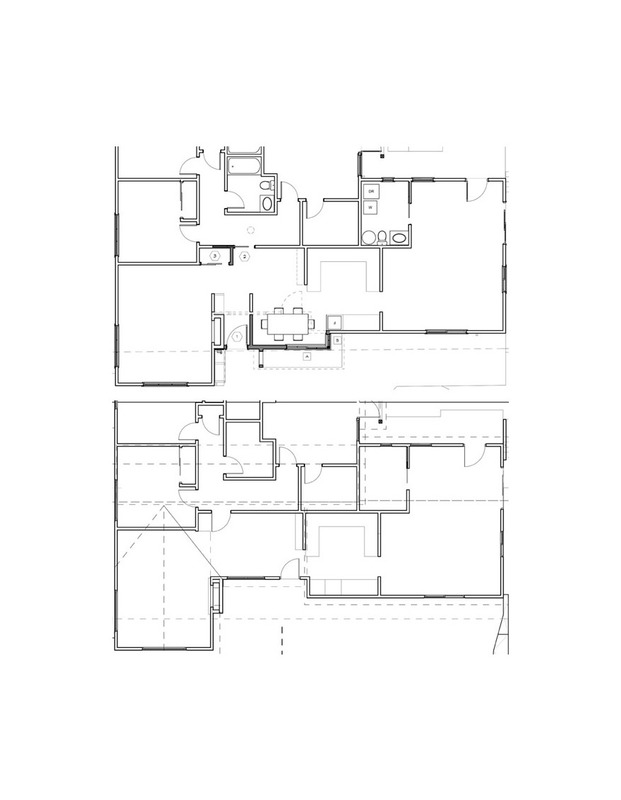 The lower plan shows the original configuration, with guests entering directly at the dining room and flowing between the dining room and the kitchen. The new design makes efficient use of very limited space, with separation for the entry foyer and a natural flow of guests into the living room. There is a dedicated entry closet. The dining room has its own defined space, without extraneous circulation between it and the kitchen.